Freaky Knitter, knitting without fear! : Almost a New Year! I wish to reflect on all of the things that have made up my personal perception of 2007. However, I don't know where to exactly begin. I have stumbled and even landed flat on face this last year. I stood up from those falls, sometimes with skinned knees, and sometimes with nothing more than a little dust to brush from myself. I have learned more about myself in this last year, than I can remember. I have learned to keep my mouth shut and not blurt out the first thing that comes into my little pea brain. Thinking first is a very good technique for me to practice. Sometimes even not taking any action on some of my thoughts is the best technique for me to employ. I have learned that if you don't think about where you want your motorcycle to go; sometimes it will go where it wants. Not only will you bruise your ego, but your skin can take a lickin' too! I learned that an old dog can learn new tricks and be pretty darn good at those tricks too. 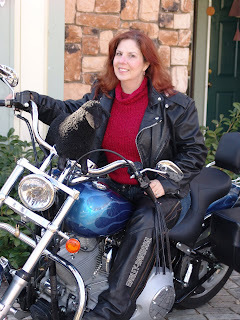 I remembered this year how MUCH I love to ride motorcycles, and that I can have my own Softail Harley to ride. 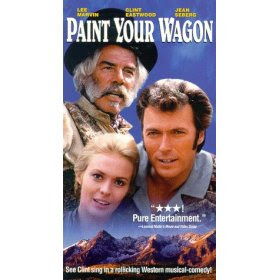 I named her 'Mariah' (that's the name for the wind), from the old movie Paint Your Wagon, with Clint Eastwood. I even rented the movie and watched it again what a crack up! I have realized that life is tenuous at best and that I need to live for today. I know I want to be a better person today. I want to look for the joys in the moment, not the complaints. See each moment as the real gift that it is and not worry about what is going to happen next to screw it up. Resolutions? Not really, I just want to live, laugh, love and be grateful I woke up and take it from there; everyday. Of course I would like to loose weight, win the lottery, sell millions of knitting patterns, have a housekeeper, cook, gardener (oh well I guess that all falls in line with the lotto), travel, go to Sturgis (I think? ), take a class with Kathryn Alexander, um, well you get the idea. I guess the bottom line is I am just plain grateful for everyday I get to be here with my family and friends. I wish everyone a year full of whatever you need to be complete. One of my New Year resolutions is to ride every chance I get, You In? I love your little black sheep!! I will also do my best to live up to your sentiments. I will try to be positive myself, and remember that I can poison other people if my attitude is bad...and I don't want to bring you down with me! So, I guess I am saying that your comments are going to be somehow be my own thoughts as well, and my hope is that we continue to encourage each other. You are an encouragement to me!! I'm totally in!!! I have electric gloves wahoo!